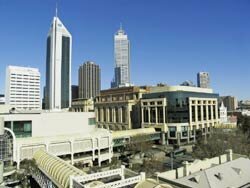 Whether you live in Perth or you are just visiting, then this is the place for you! With all the latest information about all things about Perth, Look At WA is a useful resource for anyone living in Perth or planning to come to Perth. This web site is produced and maintained by work experience students, mainly from high schools around Perth and Western Australia, under the guidance of the PerthWeb team. For affordable, high quality web sites, tailored to suit YOUR business no matter what the budget, PerthWeb have a solution for you. As an established web site production house, we provide a complete range of services, specialising in automated ecommerce and content management systems. Our services include web site production & hosting, multimedia services, software & database development, ecommerce solutions and IT sales & support. Visit PerthWeb to find out more.